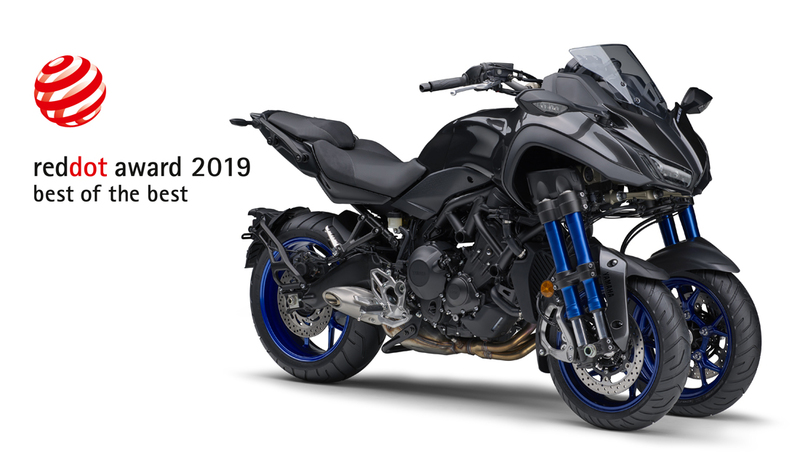 Yamaha NIKEN Wins 2019 Red Dot “Best of the Best” Award for Design, Fourth Yamaha Motor product to receive honor - News Releases | Yamaha Motor Co., Ltd.
IWATA, March 25, 2019—Yamaha Motor Co., Ltd. (Tokyo:7272) announced today that its flagship Sports LMW*1 NIKEN has been chosen as the “Best of the Best” in the globally-renowned Red Dot Award*: Product Design 2019 competition. The Company has received the Red Dot Award for its products for the last eight consecutive years from 2012, and on this occasion, it has also achieved the fourth Yamaha Motor product to be selected as the “Best of the Best.”. In addition, this achievement marks the second design award received by the NIKEN following on from the GOOD DESIGN AWARD 2018.